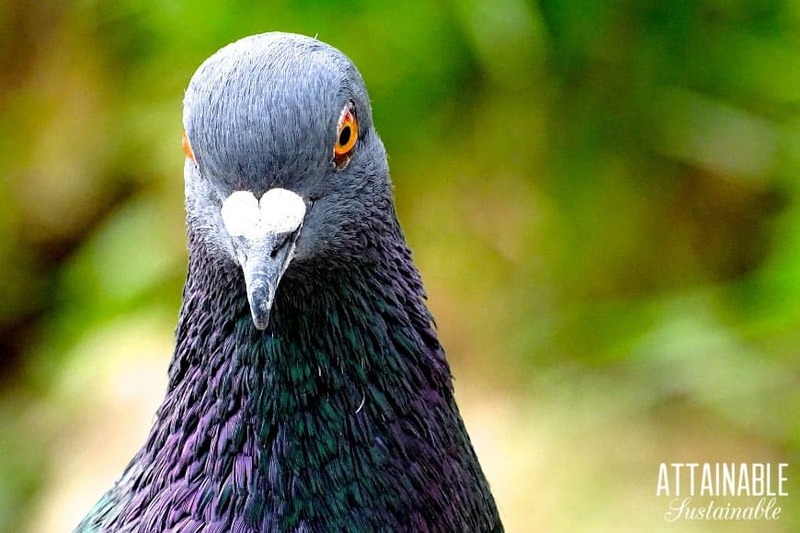 Could raising pigeons for meat be a way to provide protein on your small homestead? It’s an unusual choice in America, but pigeons are a protein source elsewhere. 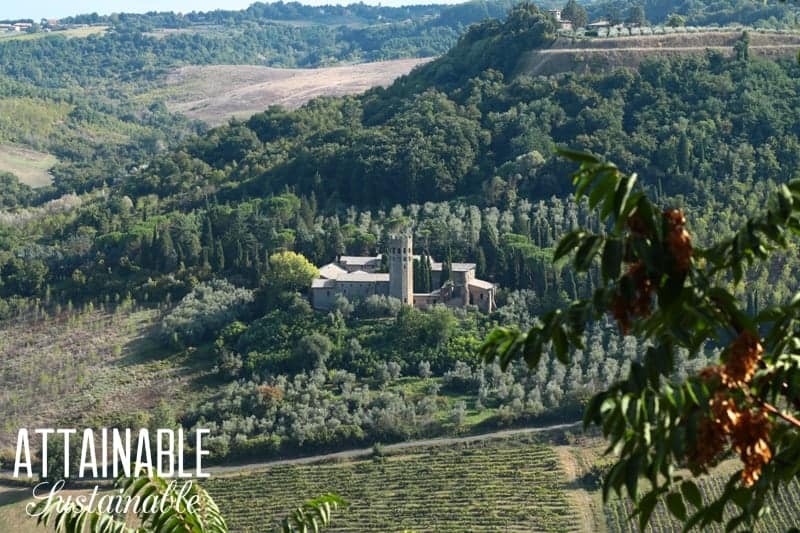 When we were in Italy last fall, we visited the medieval town of Orvieto (known then as Velzna) in the Umbria region. The town was established in the 9th century BC by the Etruscans and was their most important town in the territory of Etruria. It’s a hilltop town, situated atop a large butte with near vertical cliffs, so when the Romans invaded in the 3rd century BC, it wasn’t an easy task. The Romans eventually prevailed, but it took them two full years to conquer the town. 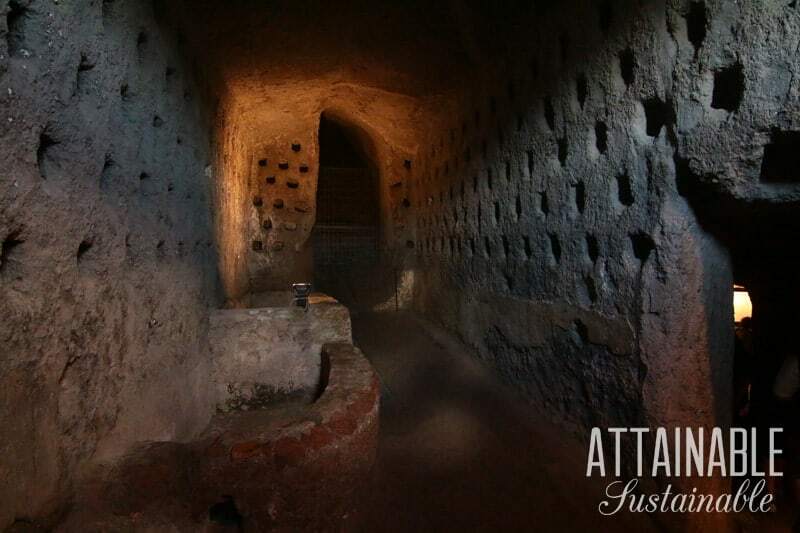 The Etruscans were able to hold off the Roman attack by moving into an intricate web of underground tunnels and caves they’d created below the town. Why the history lesson, Kris? 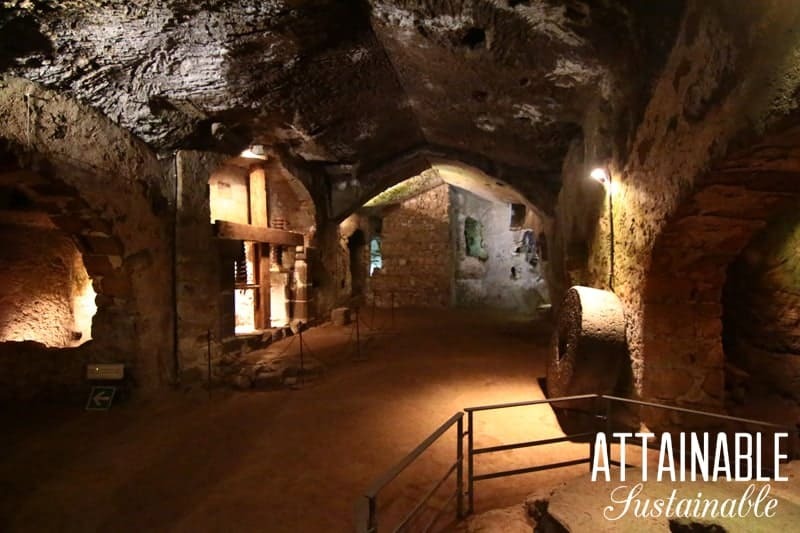 While we were in Orvieto, we had a chance to tour a small part of the extensive underground system and hear about how the Etruscans survived the two-year siege. Upon entering one of the caverns, we were stymied by wall after wall carved covered with insets roughly 8″ across. Turns out, this was a medieval dovecote. The walls in almost every “room” were dotted with pigeon holes. Pigeons are gross and germy and like rats with wings, though! (That’s what you’re thinking, right?) Well, according to our guide, pigeons were an important source of food to the Etruscans. And here’s the brilliant part that caught my attention and made me want to share this with you: Pigeons don’t need to be fed. The Etruscans living underground would have been hard pressed to produce enough feed to keep a lot of livestock, but pigeons! According to our guide, pigeons are best harvested about 40 days after hatching. This article says they can be harvested at 26 days. That’s a fast turnaround. 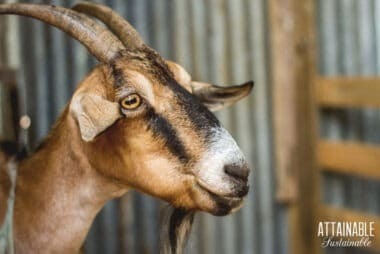 While it’s an interesting idea, I’ve yet to adopt them as my next flock animal. While it’s not common in America, pigeons are an accepted source of protein in other countries. Since I know that a lot of my readers are into alternative options, I wanted to toss this out there as something to think about. While rules against raising chickens are common in a lot of communities, it seems like pigeons have been overlooked. Pigeons could be a good loophole alternative for people faced with municipal restrictions. 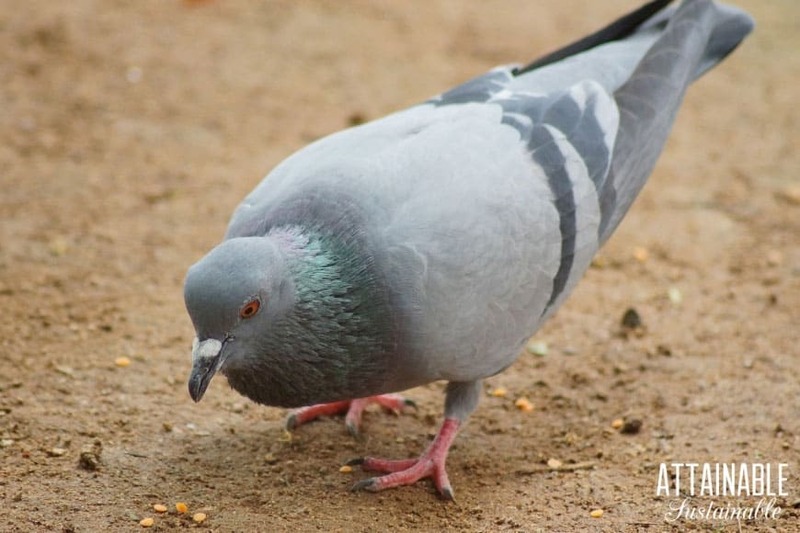 Pigeons can forage, but breeders recommend providing a healthy diet for your flock. I’m sure there’s a balance there somewhere, though, that will allow you to keep pigeons without a big feed budget. And in a pinch? They’re a good option. 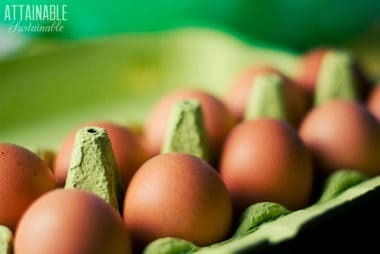 Their eggs are edible, too, though they lay more sparingly than chickens. Pigeon manure makes an excellent high-nitrogen fertilizer. During the Great Depression, many families depended on pigeons for their survival. Why wait for a crisis? What do you think? 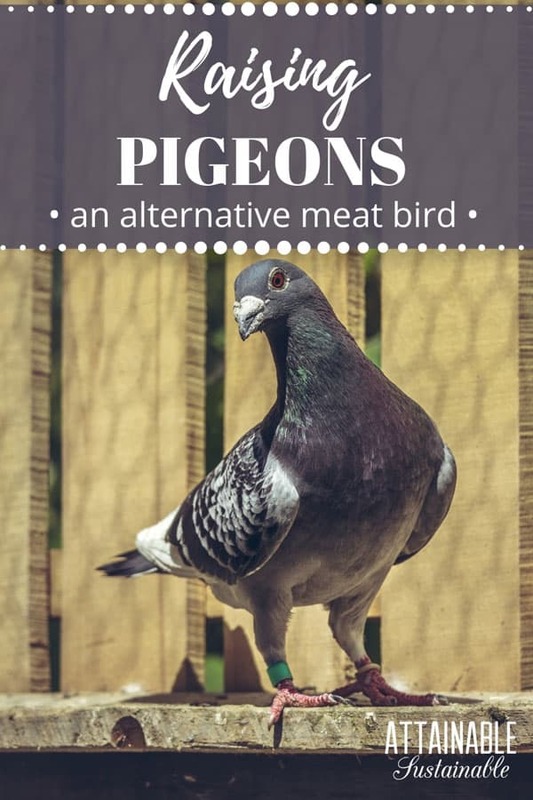 Would you consider raising pigeons for meat or is that just going too far for you? 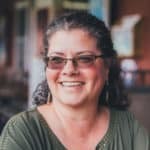 Right now I´m not raising anything since I live in an appartment in a big city – but I dream about having a plot of land in the country and raise and grow my own food. 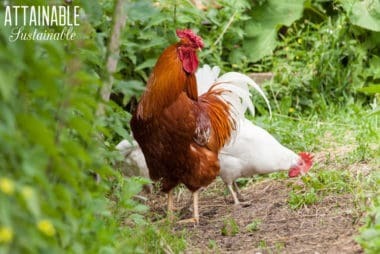 Chickens are on the list and I have a little of practise with them but pigeons seems easy to take care of – but don´t you risk them flying away? Some of them must have Daredevil-genes I think, or do they all come back every time? We’ve been looking into this as my MIL’s family raised pigeons (and rabbits and chickens) for meat as a kid. But I can’t find any source for chicks or breeding stock. The only thing around seems to be RACING pigeons. Do you know of any source for the birds? There is very little information to be found on building a coop for pigeons. Where can I find how big perches, nest boxes, landing boards, and aviaries need to be? Do a search on YouTube — there’s some info that comes up there.